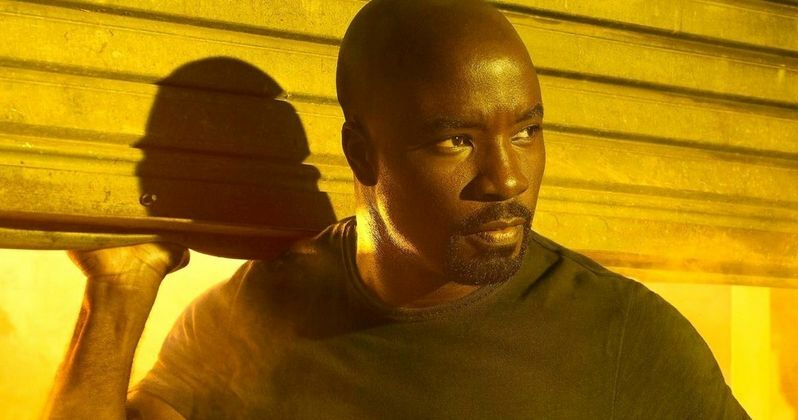 Cheo Hodari Coker has responded to Netflix's cancellation of Luke Cage. The Marvel show was cancelled by the streaming platform on Friday, exactly one week after Iron Fist was cancelled and on the premiere date of Daredevil Season 3. The news came as a shock to fans who expected Season 3 to be announced in the coming days. However, that news never came. With Disney's streaming service on the way, Marvel fans are hopeful that Luke Cage and Iron Fist will combine forces for a Heroes for Hire series based on the comic book team up. Cheo Hodari Coker had reportedly been working on the Luke Cage season 3 story outline for the past six months, taking notes from both Netflix and Marvel. In the end, the studios were not happy with what they saw, according to sources close to the matter. There has also been speculation that a deal had yet to have been made between the studio. Coker had this to say about the show's cancellation. "A lot memories. A lot of individual thank you calls to make. Just want to say thank you to Marvel, Netflix, the best Writer's room, cast, crew, the Midnight Hour, all those who graced the stage at Harlem's Paradise and the most incredible fan base in the world. Forward always..."
The official Luke Cage Twitter account also posted a picture of the hero with that simply stated, "Always and Forever," which has led to further hope that the character will return in the near future. Cheo Hodari Coker's statement echoed the same sentiment and Iron Fist star Finn Jones also posted an image on social media to pay tribute to the show. Obviously, nothing has been confirmed at this time, but there could be some serious talks about a Heroes for Hire series on the Disney streaming service, which launches next year. Even with rumors of a Heroes for Hire series, Luke Cage fans are more than a little upset that they won't get to see a Season 3, especially after the Godfather-style ending of Season 2. Cage was last seen as the new sheriff of Harlem's Paradise as Misty tries to warn him about his corruption, only to have the door closed. Maybe if the new series comes into fruition, it will address the aforementioned corruption. As far as the rest of Marvel's shows on Netflix, including Punisher, Jessica Jones, and Daredevil, those shows are all moving ahead. Daredevil Season 3 was just released, Punisher is readying its second season for release, and Jessica Jones Season 3 is also on the way. With that being said, these could be the final seasons for those Marvel shows on Netflix, if this pattern of cancellation keeps going. Again, nothing has been officially confirmed at this time. For now, you can check out the Luke Cage showrunner's response to the cancellation below, thanks to Cheo Hodari Coker's Twitter account.